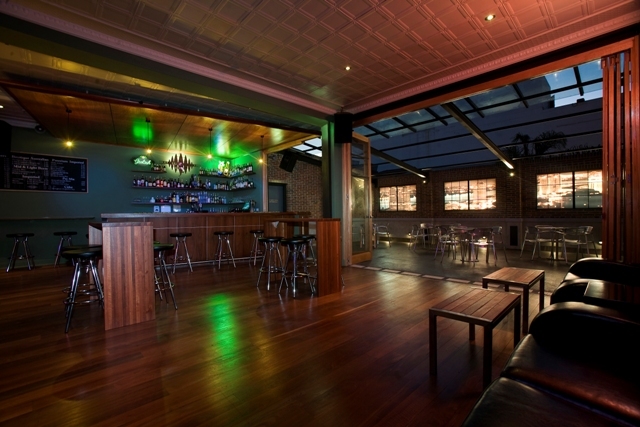 Universal Bar is a popular hot spot amongst Perth’s music lovers. Open since 1993, Universal Bar is well known for its cocktail bars, finest quality of food and beverages as well as live Jazz and Blues every night of the week. Universal Bar is also a popular function Center and continues to be amongst the most popular function venues for corporate parties. Inspired by the atmospheric jazz and blues bars of New Orleans, Universal Bar has been the place for live music for over 18 years. Since the grand opening, the bar has built an outstanding reputation in the industry for offering not only the finest quality food and beverages, but exceptional live music every night of the week. Add to this award winning bar tenders and excellent customer service and you can begin to imagine the unrivaled atmosphere that is instantly felt when you walk through the doors. Throughout the years, Universal Bar has been a popular venue and function centre for National and International musical touring acts, and has consistently supported the Western Australian music industry. And it is the consistency of the music, service, and guaranteed great night out that has the patrons continuing to return each week. With a member data base of over 2, 500, it’s clear that Universal Bar is a favorite hot spot amongst Perth music lovers!